Portugal´s Salvador Sobral winning after a 53 year wait. ”I no longer have a resentful relationship with Eurovision. I am very grateful for what it has brought me”, says Salvador Sobral! In an interview with BLITZ, initially about his upcoming album, Salvador Sobral has also opened up about his Eurovision participation! 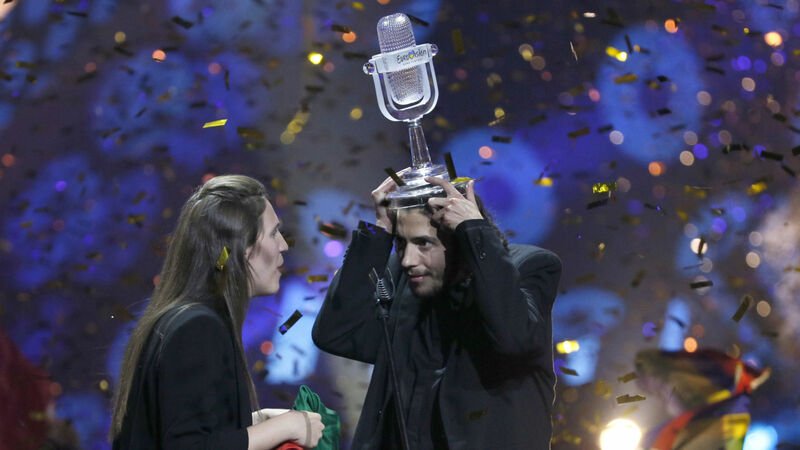 Salvador Sobral has given Portugal its first Eurovision win after 53 years, winning the Eurovision Song Contest 2017 with the record amount of 758 points. I no longer have a resentful relationship with Eurovision. I am very grateful for what it has brought me. Furthermore he stated that language is an instrument, that Conan Osiris has everything to gain at Eurovision, because ”difference wins”, noting that he himself was the most different person at Eurovision 2017 and he won! Salvador’s new album, ”Paris, Lisboa”, will include amongst other songs: ‘Mano a mano’ (the song he sang as the interval act of the Eurovision 2018 final) and ‘Prometo não prometer’, a duet with his sister and composer of ‘Amar pelos dois’, Luísa Sobral! You can see the excerpt where Salvador discusses Eurovision right here! The Public Reactions to “Fire of Love” by Tulia! Which Eurovision star do you look like? – Try the Eurovision Look-alike App!